You look great with your new clothes and hair style! What a cool and relaxed outfit! Everything looks so soft and silky! I'm loving your new hair. It's sophisticated yet sassy. I don't think you need color--your style is absolutely classic! Love this trench. I love the trench! I have just recently go silk crazy and bought a few silk items from banana republic. So providing that trench doesnt do too much damage to my bank card I may add to the list. I generally like your style, but I'm not digging the pants. It makes you look shorter. Just stumbled upon your blog, and just wanted to say that I find it amazing. Your photos are beyond gorgeous, and I really appreciate your point of view on many subjects too. Congrats on such a great blog ! 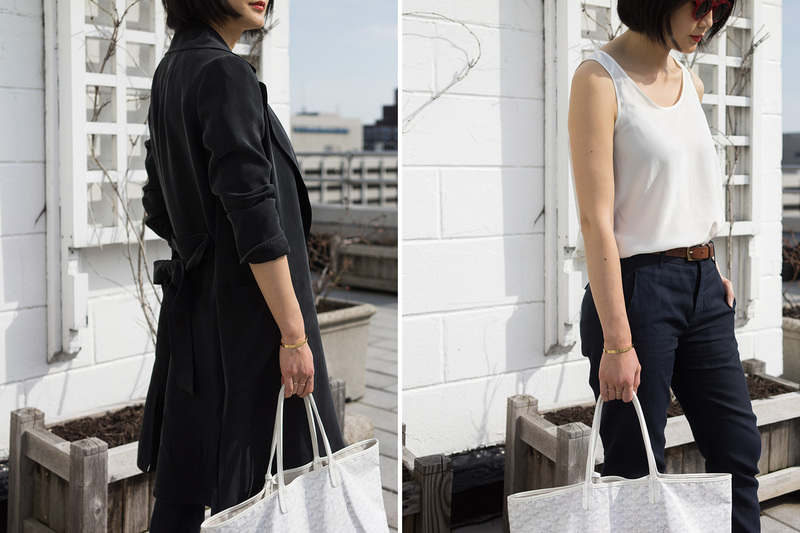 Love your work with Everlane. We have similar hair now too FYI since I've grown my pixie out. I love your Goyard tote! And you have plenty of color already! 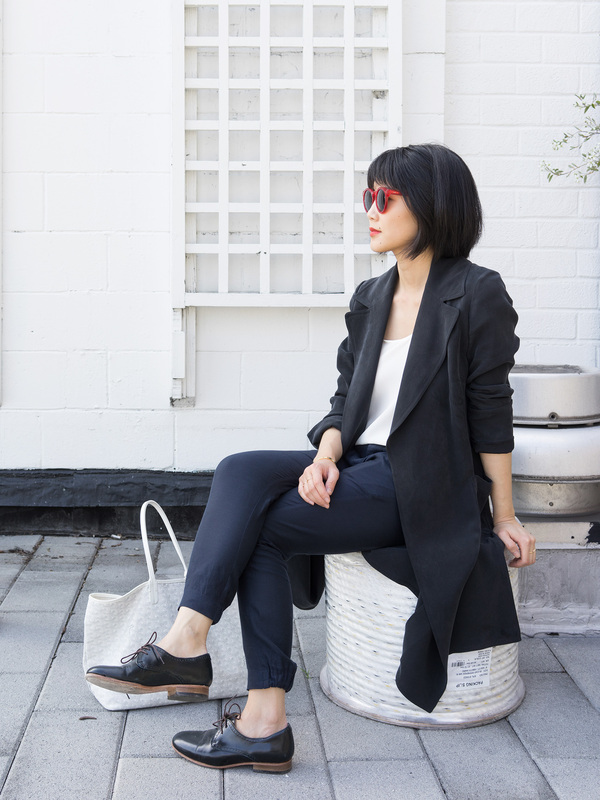 I'm with you, I have a ton of colour in my closet but LOVE wearing neutrals--I just feel best in them.